What is one of the hardest disciplines in the Christian faith? Arguable, I would say prayer. Yet, it is one of the most beneficial disciplines in the Christian faith. If prayer is one of the most beneficial disciplines, then why don’t we pray more often? Maybe the reason why Christians don’t pray as often is because we don’t believe that God is able to answer our prayers. Or perhaps, we have become too self-sufficient that there is no need for God and prayer in our lives. May this post about prayer encourage us to pray more. Luke 11:1 reads, “It happened that while Jesus was praying in a certain place, after He had finished, one of his disciples said to Him, ‘Lord teach us to pray just as John also taught his disciples.” The necessity of prayer in the Christian life is clearly in view in this verse. 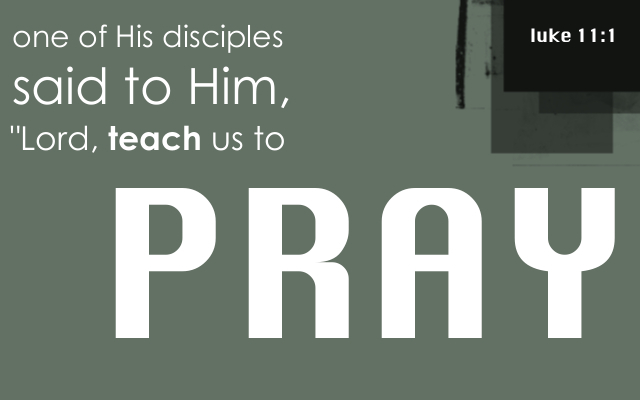 The necessity of prayer can be seen in the disciples’ need to learn how to pray. I think, however, the better view to show the necessity of prayer in the Christian life is the simple phrase, “It happened that while Jesus was praying…” Think for a moment, if the Second person of the Godhead, the God-Man needed to pray, how much more do we need to pray? Jesus prayed for his disciples (John 17), for himself (Luke 22:39-46), and at times the Scripture simply records for us that Jesus prayed. The life of Jesus is filled with prayers. One cannot escape that fact. It is throughout the gospels. He often prayed all night and at other times arose a great while before dawn to pray to his heavenly Father. I think Jesus is onto something, maybe prayer is expressive of the relationship between a child and the Father. As one author puts is, “For those who know God best are the ones who speak to him most of all.” Christianity is a relationship with God the Father, through the Son, and by the Spirit. How many of us express this intimate relationship with our Heavenly Father? Not only is prayer an indication of how intimate a believer’s relationship is with the Father, it is also an expression of faith. One author puts it best, “Prayer, in many ways, is the supreme expression of our faith in God and our faith and confidence in the promises of God. There is nothing that a man ever does which so proclaims his faith as when he gets down on his knees and looks to God and talks to God. It is a tremendous confession of faith. I mean by this that he is not just running with his requests and petitions, but if he really waits upon God, if he really looks to God, he is there saying, ‘Yes, I believe it all, I believe that you are rewarder of them that diligently seek you, I believe you are the Creator of all things and all things are in your hands. I know there is nothing outside your control. I come to you because you are in all this and I find peace and rest and quiet in your holy presence and I am praying to you because you are what you are’.” What type of prayer do we engage in? It is a prayer to get things or is it the type of prayer that will stretch our faith? It is not wrong to pray to receive things. Another author puts it like this, “Prayer is not simply to get things from God, but to make those things holy, which already have been received from Him. It is not merely to get a blessing, but also to be able to give a blessing. Prayer makes common things holy and secular things, sacred. It receives things from God with thanksgiving and hallows them with thankful hearts, and devoted service.” How is your prayer life? Do you even pray? Jesus prayed. His disciples prayed. Do you pray? Is Jesus just telling us that we can ask for whatever we want? Do we just need to “have enough faith” and anything can be accomplished? First, Jesus sees a leafy fig tree. Mark emphasizes that this tree is “in leaf” and that Jesus “found nothing but leaves.” The tree has the appearance of fruitfulness, but it is not bearing any fruit. Why? Because, as Mark says, “it was not the season for figs” (11:13). Next, we find Jesus in the temple. What is the temple? A place for worship; Jesus himself says that it ought to be “a house of prayer for all the nations” (11:17). What does he find instead? A “den of robbers.” The temple then, has the appearance of worship, but underneath, it is rotting with greed and injustice. Like the fig tree, the temple has the appearance of fruitfulness, but none of the real fruit. “…Have faith in God. Truly, I say to you, whoever says to this mountain, ‘Be taken up and thrown into the sea,’ and does not doubt in his heart, but believes that what he says will come to pass, it will be done for him. Therefore I tell you, whatever you ask in prayer, believe that you have received it, and it will be yours. And whenever you stand praying, forgive, if you have anything against anyone, so that your Father also who is in heaven may forgive you your trespasses.” -Mark 11:20-25. Now the difficulty of the passage is resolved in context. Jesus is giving a lesson about authentic faith, one which isn’t just about appearances, but one which bears true fruit. What kind of fruit? Would it be too much to suggest that faith bears fruit in prayer? The temple is supposed to be a house of prayer. Jesus’ lesson is about having faith in prayer, petitioning God in prayer, and forgiving in prayer. Of course, there is so much we could pull out of this passage, but we can draw this general application: a Christian life that lacks prayer only has the appearance of fruitfulness, but none of the real fruit. This doesn’t mean we can just go off and uncritically pray for whatever we want. To do so would be to act like the money-changers, who used a place of worship for selfish gain. Instead, this passage in Mark encourages us to cultivate true faith and true prayer. And, beyond our individual lives, the Church ought to be “a house of prayer for all the nations.” I don’t know about you, but I’ve found that real, authentic prayer often takes a back seat to serving at church, Bible study, friends, hanging out, homework…and the list goes on. But as Mark (and the Bible) show, prayer is an essential part of a thriving Christian life. As most of the writers are away on retreat this weekend, I’ll share one of the devotionals that was written that those attending the retreat have been meditating on. 3He is like a tree planted by streams of water that yields its fruit in its season, and its leaf does not wither. In all that he does, he prospers. When we have trouble “cutting through the noise” of this world, it’s easy to become complacent. All of a sudden everything becomes a routine and we find ourselves simply going through the motions of life. Psalm 1 describes and contrasts two people: one who is rooted in God’s word, and another who searches for wisdom in the world. Where do you find yourself today? Roots don’t just sit above the ground. They are firmly intertwined with the soil. Separating them is no easy chore. “…by streams of water,” – continually fed and nourished by a pure source. 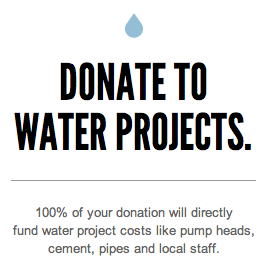 This is more than a one-time watering. “…yields its fruit…” – actively producing that which is good. As a result of being planted by a continually pure source, there is evidence of growth that blesses others. “…does not wither.” – able to endure tough times. Not under its own doing, but as a result of where it is planted. A tree can also be planted beside impure sources. However this tree is like “chaff that the wind drives away” (verse 4). What are the things in life that you allow to influence you? Where have you chosen to root yourself? Quite often we don’t realize what the true influences in our lives until we pause to reflect on them. Take the opportunity today to choose to plant yourself by “streams of water”. Rest in the promise that, “blessed is the man who walks not in the counsel of the wicked”. The other night I went to my old high school’s Cross Country Banquet. I was moved all over again by the dedication, the sweat, the tears, and the burning muscle so deceptively hiding beneath dresses and dress shirts and glowing faces. This much can be held true: those kids don’t run so that they can earn a few awards and get clapped for – that would not be enough to cover the pain, or sufficiently describe the victories made. The common factor that united all those high school runners was their habit of faithfulness to their running. No matter what time of day, no matter how many times a day, no matter how long or how high that mountain trail drove them, they would take it on with dedication and resolve, and oftentimes joy even in the utmost suffering. Looking at the Gospels, we see that Jesus dedicated himself to the fullest to his task as a humble servant on earth, redeemer and savior. He too lent himself to a habit of faithfulness – prayer. It is only after this discipline that Jesus goes on to do his task of preaching and casting out demons. At Urbana ’09 in St. Louis, I was inspired and driven by an Indian pastor, his hair silvery white, his tongue not yet rejecting his native accent, and most importantly, his mind and heart devoted to constant prayer and devotion. His staff testify to hearing him pray in his office for hours, and he often takes walks for the sole purpose of prayer and fellowship with God. This pastor, Pastor Krishna, taught me the Prayer of ACTS, that Jesus instructed his disciples to pray. I. Adoration: This is not thanking God for what He has given you – this is praising God for who He is. In this world, we enjoy and yet have difficulty grasping the essence of friendship – how I can possibly be loved for who I am, when oftentimes I am the person I wish to be most distant from. And yet, we feel that pleasant jolt of uneasiness and surprise when we find a love that focuses on our heart, and not on our work, or wallet, or study notes. If we find pleasure in affirmation of who we are, how much may we bring joy to God’s heart in rejoicing in His nature? II. Confession-this is a tough one for some people to grasp, since a common mindset is, “God already knows I did it, and He knows I’m sorry.” If people exercised this mindset with their earthly friends, I would be very surprised to see any friends left. Take a husband and wife for example – Say the husband woke up on the wrong side of the bed (literally) and gets angry at his wife for some petty reason (clothes on the floor), and then stomps out of the bedroom to make coffee. After a few sips of caffeine, he softens up to the sound of his wife coming into the kitchen and silently going to work. Though it is obvious to both of them that he overreacted, their connection will suffer until he comes before her in humility and apology. That story will most likely have a happy ending. Don’t let your unspoken sins come between you and God. And if I’ve learned anything from crossing (and tripping) between cultures, don’t let mistakes that you don’t realize you’ve committed come between you and God either. If you have nothing to confess (oh for that to be possible with me), then pray for God to show you the ways you might have disappointed Him…just to be safe. III. Thanksgiving: thanking God for what He has done, is doing, and will continue to do until your dying day and well beyond. This is a spectrum as great as giving thanks for God’s sacrifice on the cross to the run-in with an old friend you had yesterday. Warning: Many times, our hasty prayers begin with, “Dear God, thank you for “……” and “….” and “………..” and God I pray that you’ll give me/us “…..” and “……” in Jesus’ name, Amen. If you’ve tried, that can often get a bit tedious and repetive both to you and maybe even to God (even with his everabounding patience). Just switching it up with adoration and confession adds a whole new dimension to your prayer life. IV. Supplication – Needless to say, this is the part of the prayer no one has too much trouble getting to. I don’t attribute that to selfishness, but because there are indeed multitudes of things to yet to be done in our lives and in this world. In closing, I want to address the all-pressing question already brought up previously, “Why bother praying?” Doesn’t God already have his predetermined, predestined agenda regardless of what I say? Firstly I encourage all seekers to look to the Bible on how God answers and listens to prayer beginning from the Old Testament to Paul’s ministry. Secondly, I want to tell a story I heard of a Kenyan boy (now student) who spoke about his father back in Kenya. When this boy was a child, his father would go out and mow the lawn every Saturday morning. Each time, however, he would ask his son to go out there with him. So this child, tooting his plastic toy lawnmower, would go out every Saturday morning with his father and truck his plastic toy lawnmower across the lawn. Looking back, he probably didn’t do very much, and maybe even got in the way. But what he learned was that his father desired not necessarily his results, but his fellowship. Mowing the lawn with his father was one of this man’s most consistent and joyful memories of growing up. 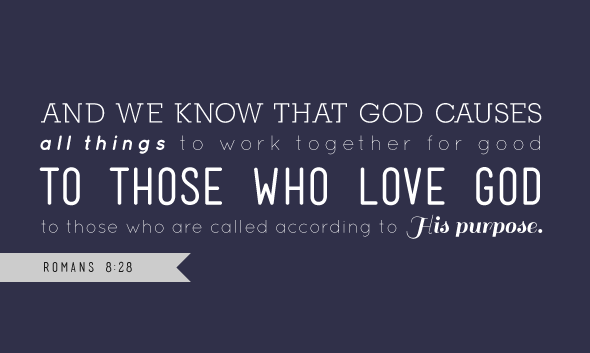 God wants us in fellowship with Him, actively participating in His work. I want to close on my old Cross Country team. As I look at their joy, their dedication, their disappointments, injuries, and also their triumphs on and off the field of glory, I see that whatever effort they put in, they put in obedience. Whether they got to CIF or State or that spot on JV or Frosh Soph or Varsity was often a situation out of their control due to injury or mishap. But they did not place the value of their season on having completed those objectives, but rather in staying obedient to those objectives. 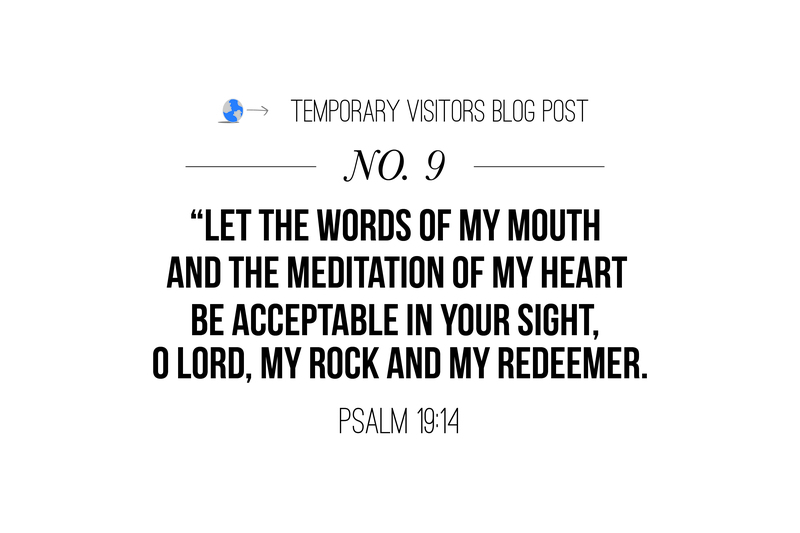 Let us pray from now on with renewed diligence and obedience to our Creator, Redeemer, Worker, and Sovereign God (just to give you some tips on the “adoration” part).